The Republic of Panama is a wonderful country where you’ll find beautiful landscapes, a lush wildlife and a modern cosmopolitan city. Panama is known as “the bridge of the world and the heart of the universe”, a truly cultural melting pot unlike any place in Latin America. Panama offers all the services you may need, like world-class telecommunications, many banking and financial options, and efficient transportation to any destination.Internet with high speed uplink and downlink time, as well as circuits for Wireless internet access, is available on lodgings and on the ISMS campus, allowing students to access medical reference materials using their laptop computers anywhere on School grounds. Other technical support students may require, such as video conference halls with data links for medical library connections, are available. All ISMS classrooms and laboratories have modern research and learning tools. Students may also find lodging options at low rates, with all other living amenities at their disposal such as laundry services, many banking and ATM facilities, PO Box post offices, modern gyms to work out in, plenty of entertainment in movie theaters, restaurants and clubs, travel agencies to plan interesting trips within the country, and, of course, first rate medical services. The Darien Gap, a province that separates Panama and Colombia, is an area that holds mystery and promises adventure. It is often referred to as the Last Frontier: the last unspoilt area in the world. The Darien has proved a welcome challenge for many who wish to cross Central America to South America by land because of its lack of main roads and wealth of jungle and adventure. The province of Darien is filled with wildlife and the native people who have lived there for centuries. Traveling through this UNESCO site will allow you to see the beautiful untouched rainforest, a large varitey of creatures, and beautiful beaches in addition to the swampy and mountainous parts of the region. 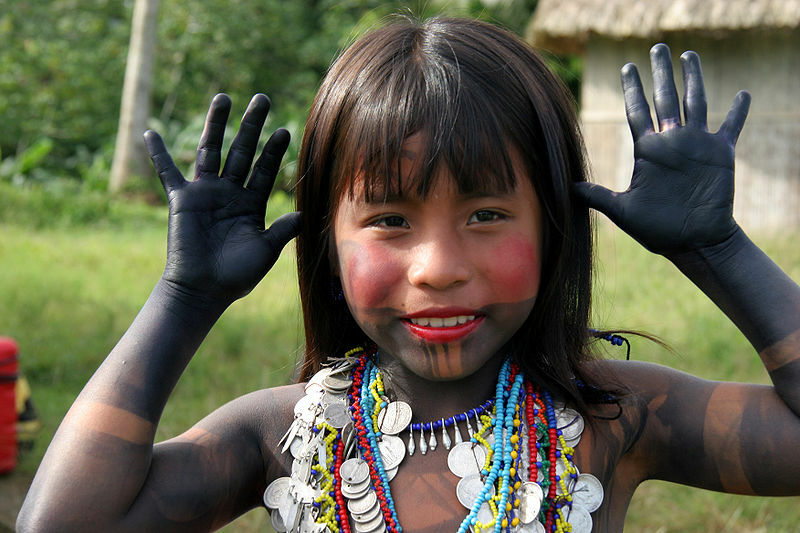 Including the Embera people. We invite you to experience the wonders of living and studying in Panama!